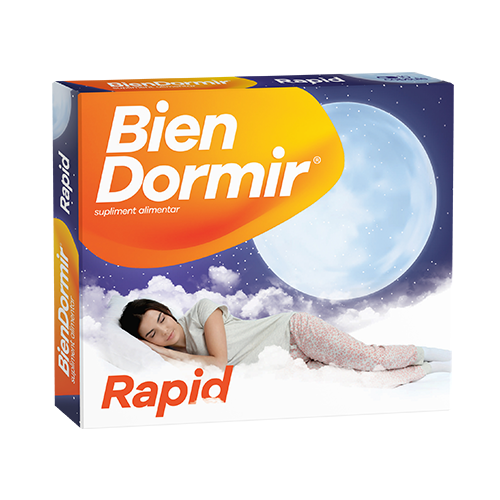 Bien Dormir Rapid it is recommended in disorders regarding the quality and quantity of sleep caused by anxiety, stress, nervous tension. - Bien Dormir Rapid capsules should be administered 30-60 minutes before bedtime; afterward, lying in bed is recommended. - The treatment should last for 2-4 weeks. - This product is a dietary supplement and does not replace an adequate, balanced diet and a healthy lifestyle.